Antizymes support balanced melanin production levels to reduce the appearance of hyperpigmentation. The formula also contains Echinacea GreenEnvy™, a unique, patent-protected variant of echinacea purpurea that contains the highest known concentration of cichoric acid. This acid helps protect the skin by supporting natural collagen and normalizes the skin pigmentation process to promote a more evenly toned complexion. 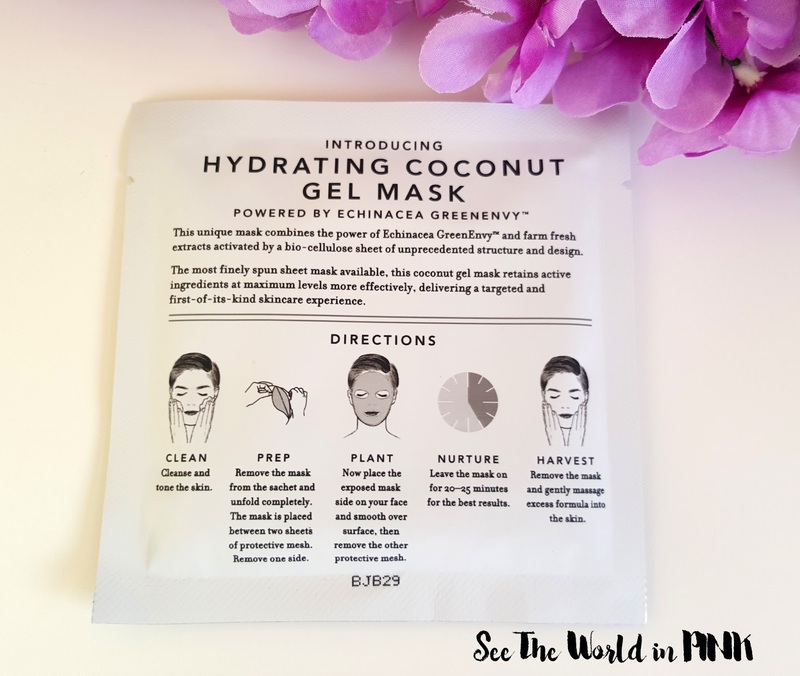 Coconut gel provides intensive hydration and restores the skin’s balance, while the bio-cellulose sheet releases the complex of components to provide the skin’s surface layers with a penetrating surge of active ingredients. Also, I love the Farmacy Beauty brands philosophy of bringing the "farm-to-table" ideology to the beauty industry. Their motto is Farmer Cultivated, Scientist Activated, which to me means they really focus on the plant-based ingredients, and especially on Echinacea GreenEnvy™ which has a ton of benefits for skin! The directions are listed really simply on the back, which is great! 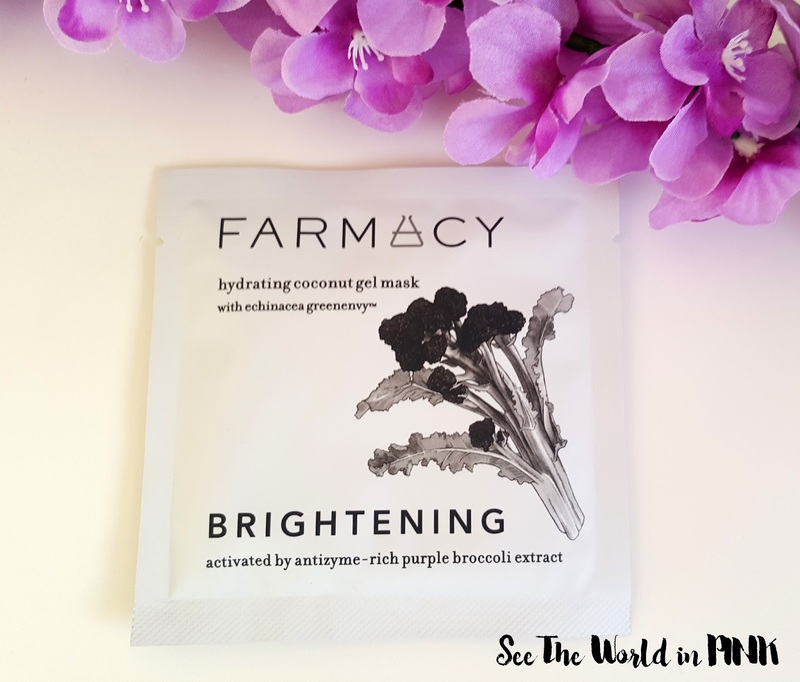 The only difference between using this mask and other sheet masks is the packaging - the mask is in between 2 layers so you peel off 1 layer, apply the mask, and peel off the 2nd protective layer! Easy! 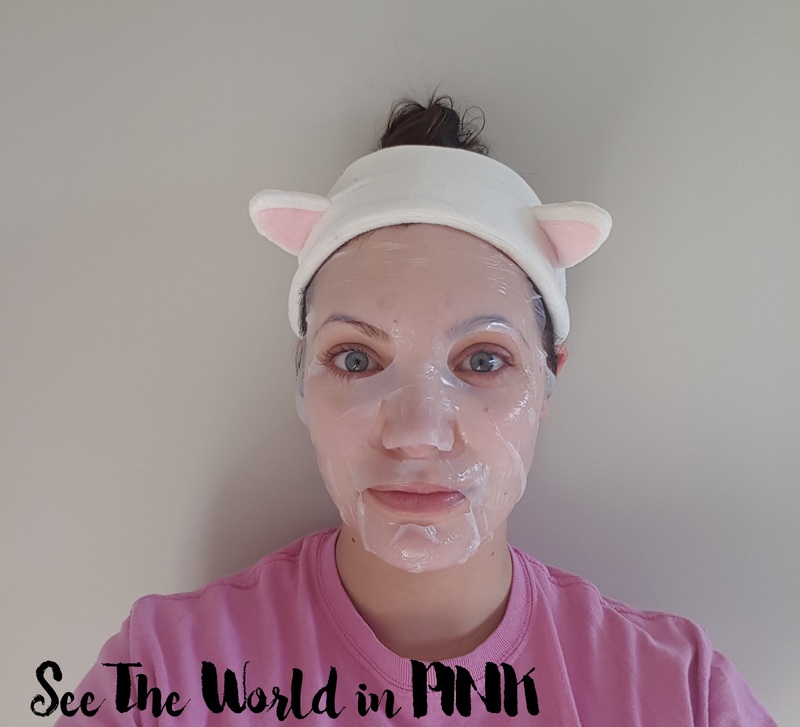 I know some people are not fans of gel-type masks because they are quite thick and slide off quite easily - that is not that case with this gel mask at all! This is a really thin gel mask and it actually adheres to the skin really well (better than most masks I would say!) This lasted for 40 minutes on my skin, but after that I just had a little remaining essence to pat in to my skin. Ugh, I just love this mask so much! I know at $10 a piece Canadian, it is an expensive mask - I really like to save these for when my skin needs one of my extra special masks on it! They are amazing "treat" masks for your skin and work well. My skin felt very hydrated and healthy and looked brighter! This is likely one of my favourite masks ever! What a fun combination! I am not normally a beer drinker, but I do like grapefruit! Thanks! My husband is a beer drinker so we usually have a good selection, but I'm picking and only like them really light!